It's Like Wearing a Blanket! 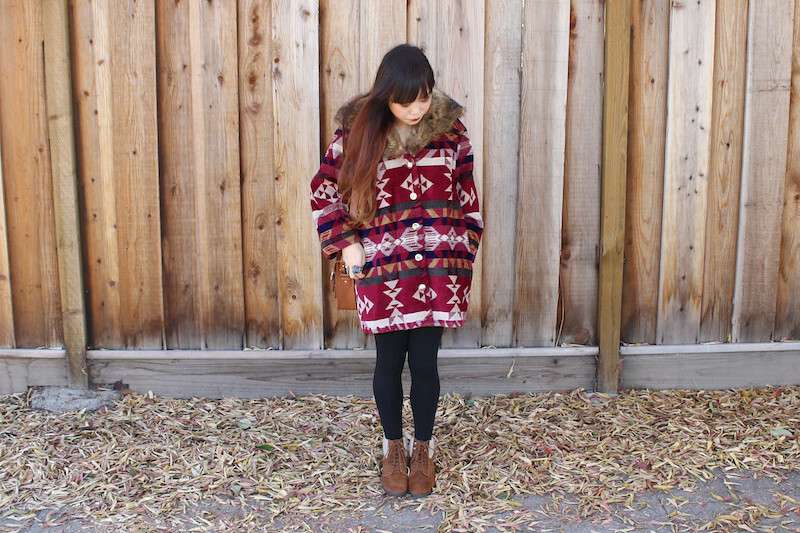 December is all about staying warm while looking stylish, and this vintage coat certainly achieves that! When I saw this coat at the thrift store, it was giant and a little boring, but I could not resist the amazing pattern and color. And it was only 15 dollars! I altered it for a better fit and sewn on a vintage fur collar... and voila! a new coat was born! I love it, it's like wearing a blanket! Thrifted vintage southwestern blanket coat. 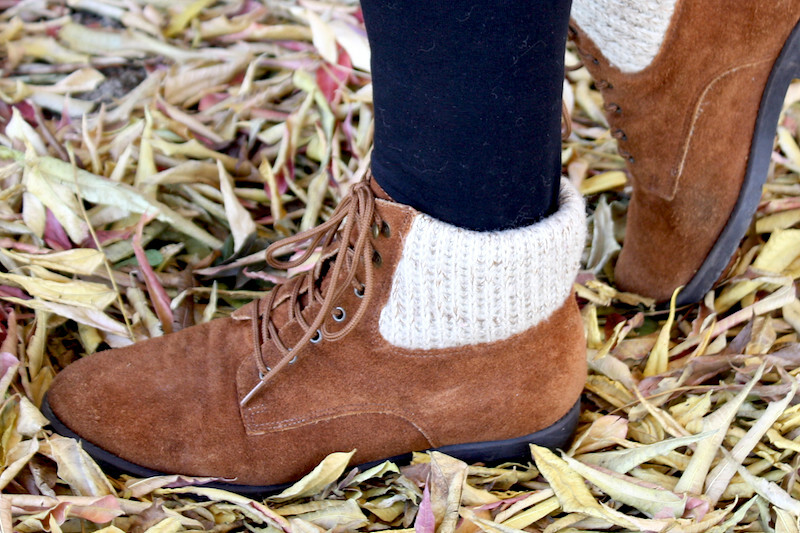 Vintage knit cuffed suede booties from etsy. 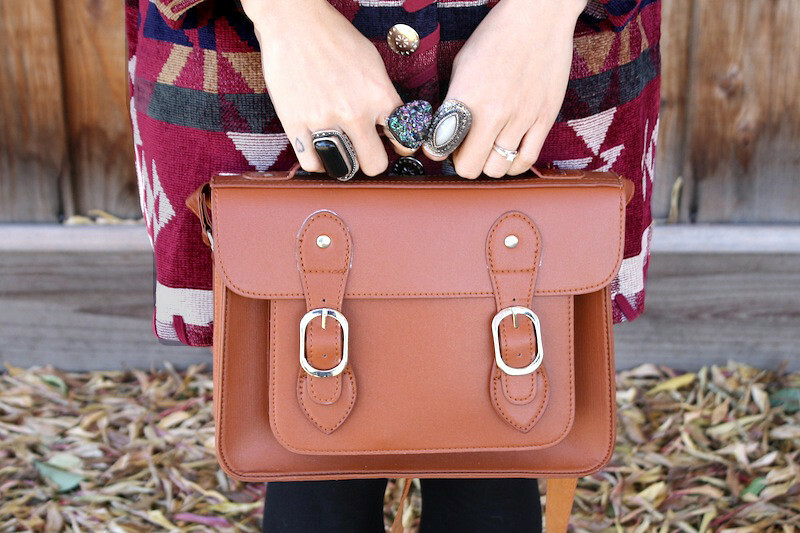 Brown leather handbag from Hong Kong.Leggings and rings from F21. Your coat, bag and shoes is beautiful... Kiss. This is so cozy and comfy! I love the coat and booties!